The LG G3 will be shown off for the first time next week. However, ahead of that launch event, the company has shown off its new QuickCircle case. The case is the update of the QuickWindows Folio Case launched last year alongside the LG G2. The QuickCircle Case will feature the same ability to use apps without needing to open the case, along with a new Smart Lighting feature. That emits a soft, white glow around the inside of the window whenever a call or text is received. 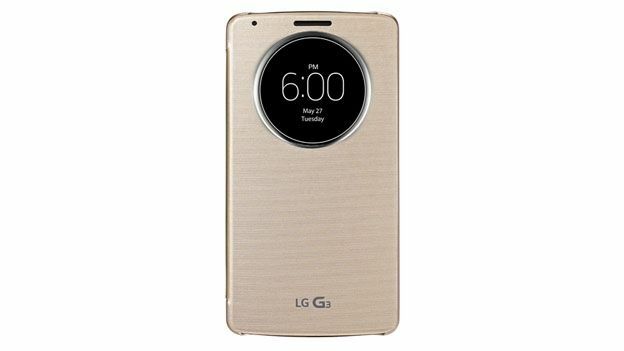 LG has also confirmed that the case will no impede Qi compatible wireless charging, suggesting that the LG G3 will definitely feature that technology. “The smartphone ecosystem is constantly evolving - no longer are cases just for protection from the elements and bumps and drops,” said Dr Jong-seok Park, president and CEO of the LG's mobile division. The case will come in five colours, including shine gold, aqua mint, indian pink, metallic black and silk white.